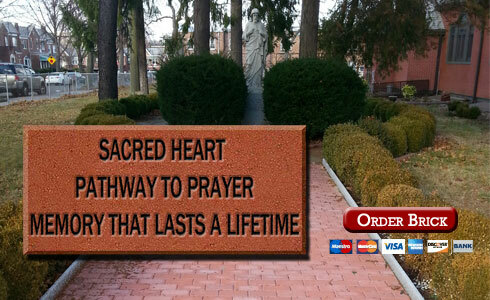 Order a Commemorative Brick in the Pathway of Prayer Online Now! Registration: by appointment ONLY. Please contact a Priest or Deacon at the Rectory at least 2 months in advance of the Baptism. BOTH parents must come for registration. Instructions: Arrangements will be made at the time of Registration. Please bring the birth certificate to registration. Sacrament of Baptism: will be conferred on the Third Sundays of each month at 1:30 P.M.